Performant filtering of network packets with BPF by Michał Rostecki. 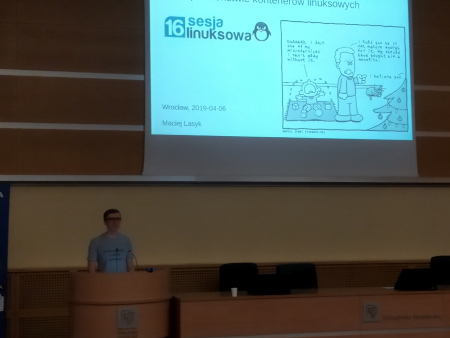 Michał works around Cilium at Suse and during his talk I learnt a bit about how current state of network filtering works in Linux Kernel, what are different methods of filtering / routing and where to find one of the best documentation about BPF (that is on Cilium documentation pages: https://cilium.readthedocs.io/en/latest/bpf/). Own email server - hows and whys by Błażej Święcicki (Błażej, do you exist on internets at all? ;) ). This talk started interesting discussion about privacy of our communication. We learnt how it looks like to host own email service these days. Personally I do host my own mail server thus I was interested in challenges Błażej had to accept during last decade of maintaining Postfixes and making sure emails are properly delivered and received. Also I decided to prepare a lightning - talks. 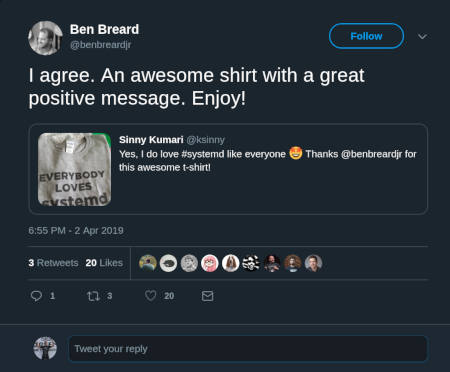 First about sshuttle and the second one about my hobby which is a long - distance training and sport and how Linux and open source software helps me with that. 2 years ago I finished Norseman Xtreme Triahlon - during this lightning talk I described briefly how I use GoldenCheetah for my workout performance analysis and planning, Blender for video analysis of my swimming stroke and Audacity for audio editing and working on content of my sport - related podcast. Thank you guys and see you next year!